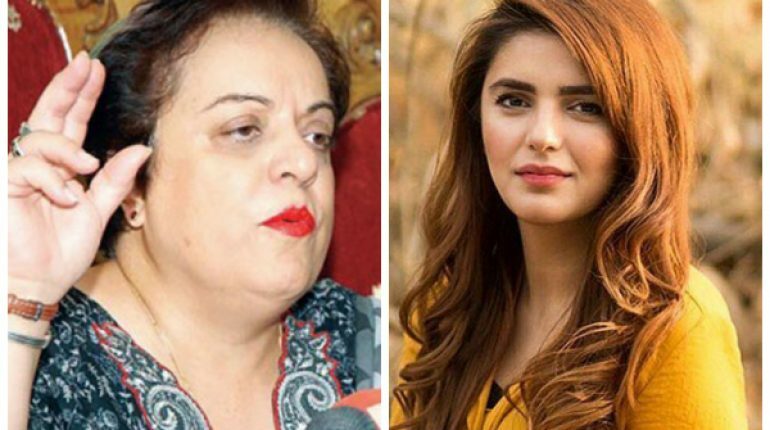 Momina Mustehsan & Shireen Mazari are in a Twitter feud over #KoKoKorina and its hilarious! 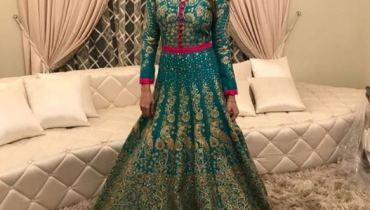 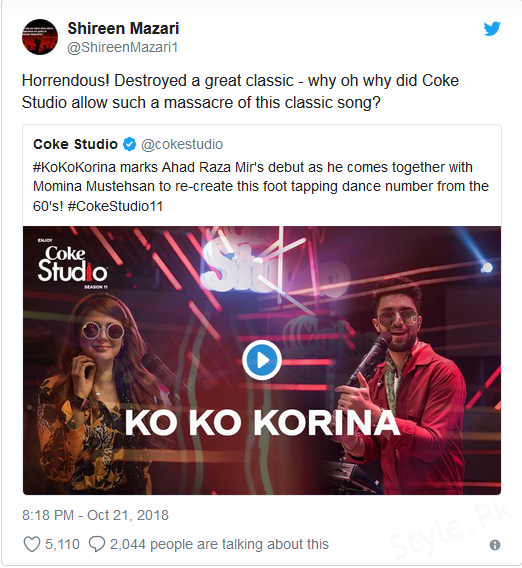 Momina Mustehsan & Shireen Mazari are in a Twitter feud over #KoKoKorina and its hilarious!, Momina Mustehsan and Ahad Raza Mir have been at the receiving end of a lot of trolls owing to their latest, rather poor, rendition of the hit classic Ko Ko Korina. 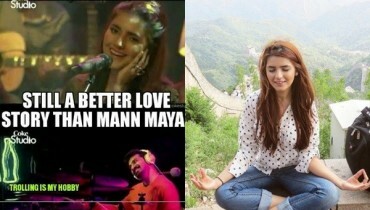 The song, as soon as it was released, started receiving a lot of flak from admirers of the original song. 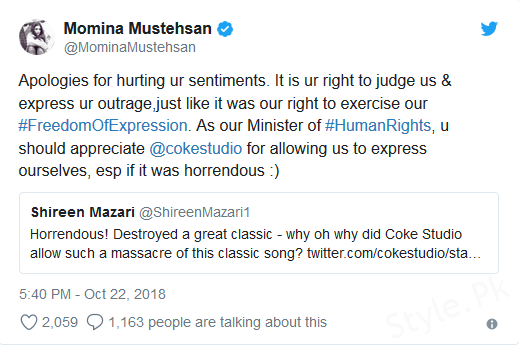 Even Waheed Murad’s son, Adil Muraad, has apologized to his father’s fan for allowing such a bad remake to be made for his father’s song. 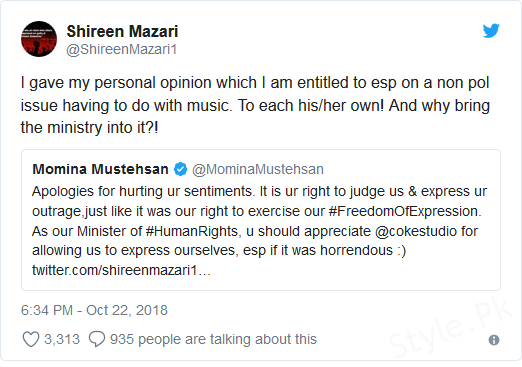 But what is fun, is the Twitter exchange between Human Rights minister Shireen Mazari and the lead singer of the song, Momina Mustehsan. 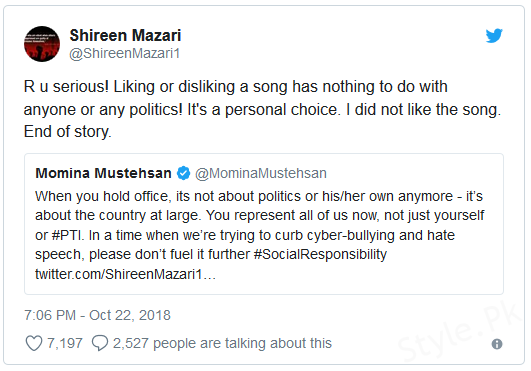 Earlier in the day, Shireen Mazari commented how the rendition of the song was completely horrible. 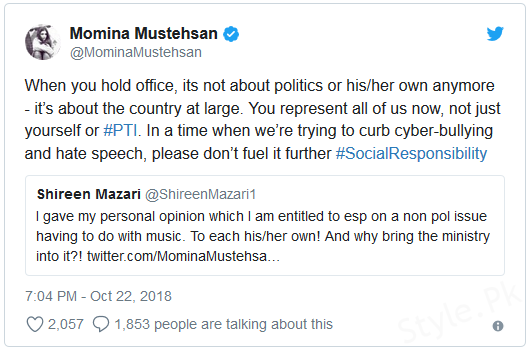 And Shireen Mazari then had had enough of her nonsense.